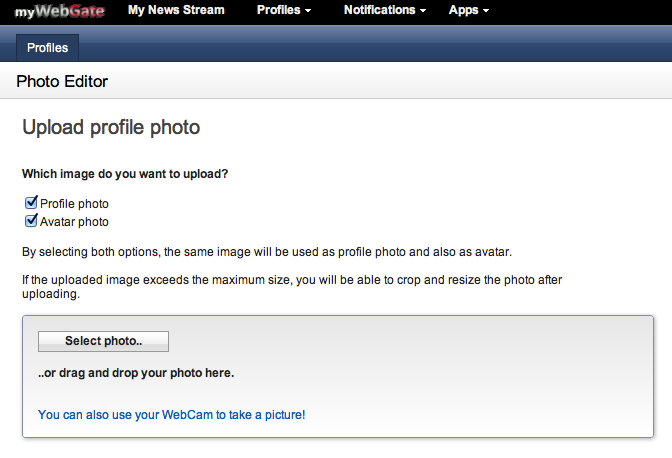 By clicking on “take snapshot” the picture can be cropped and uploaded as your new avatar. Directly from your webcam! Thanks Richie for this brand new feature. 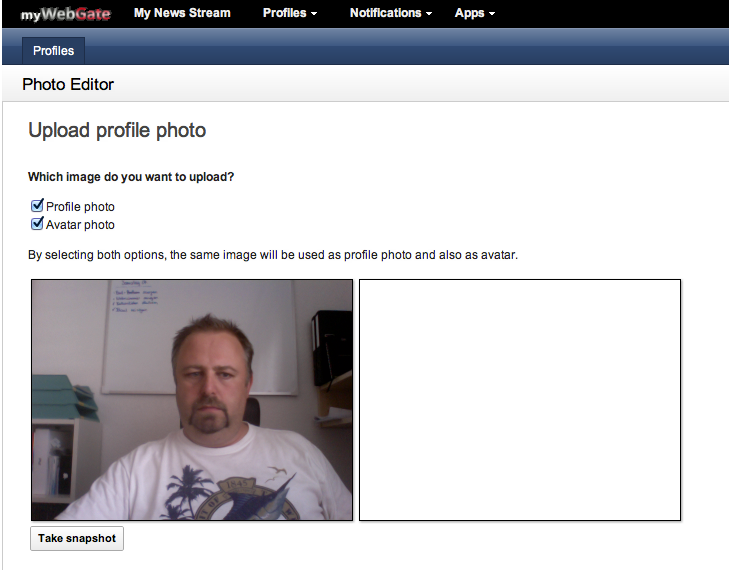 The upcoming myWebGate release is now in the final testing stage and will bring more than 10 new features. How open source protects your work – a short story. during the next days I’m preparing the 8th edition of Kids and Teeniedays in Effretikon. So many of my blogs will cover my social engagement. But this one is related to two different stories in my it-life, that now merges. The first story began in the 90s. My former employer gave me the chance to learn all things about lotus notes and domino. During our work, we decided to change our development model to object orientated lotus script. One of my first work was a “FormBase” class. This class could handle a simple validation. based on empty fields. After a while, this class was a part of every application in this company. External consultants joined the company, and after a while I found this class in commercial products, in other companies. As you could imagine, I was disappointed and a bit angry for several reasons. First, I missed my name on the source code. Later I was afraid, if anyone could know that this code was one of my first object orientated work in lotus script. Because it was not so brilliant. After reading design pattern, a great book, i was shocked, which fundamental mistake I did make. But this is another story. But how to handle, that your brilliant work is not copied? And is reinventing the wheel also coping? There are other typical problems that you are facing, by preventing your code. But there is a very interesting other way to protect your work. Make it openSource. 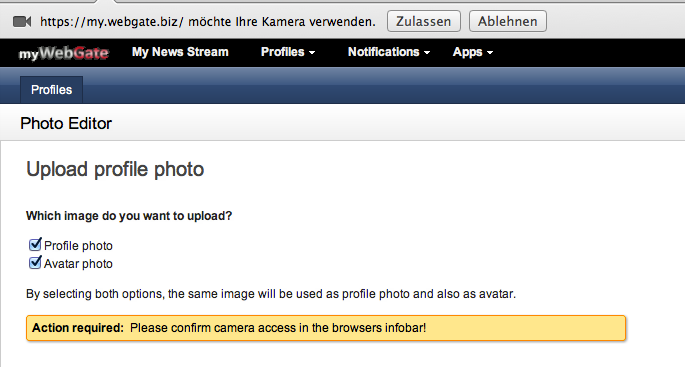 Put it under a openSource license, like Apache or GPL, and go to public. So anybody can see your work and give the credits to your work. An example? Im really proud of the NotesUI of myWebGate. Even if nobody sees this. 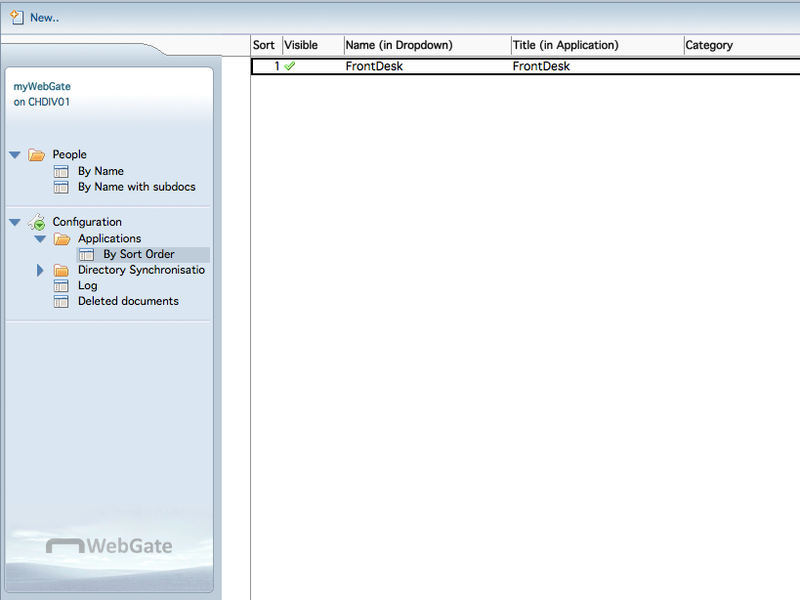 Richie Schmid did a brilliant user interface which is in many of our applications and loved by our customers. . Richie has made it several years before we even think about setting this under the terms of the Apache V2 license. So how to implement our UI in your application? Its very simple. You have to give credits to the myWebGate project, as we did with the silk icons we used (and several other brilliant open source work). Go ahead, make brilliant software, use our UI, but give honor to the right people.